Modern vehicles can travel well over 100,000 miles without complaint, but it’s still smart to shop for low-mileage SUVs for sale. Parts won’t have had as much of a chance to get worn as more rigorously driven models, and there’s a chance they’ll still have the original warranty. And when you trade in your vehicle, a low-mileage model will likely be worth more. **MP3**, **IPOD ADAPTER**, **BLUETOOTH, HANDS-FREE**, **USB**, **KEYLESS ENTRY**, **REAR BACKUP CAMERA**, **SIRIUS/XM SATELLITE RADIO**. Priced below KBB Fair Purchase Price! Odometer is 5425 miles below market average! Clean CARFAX. 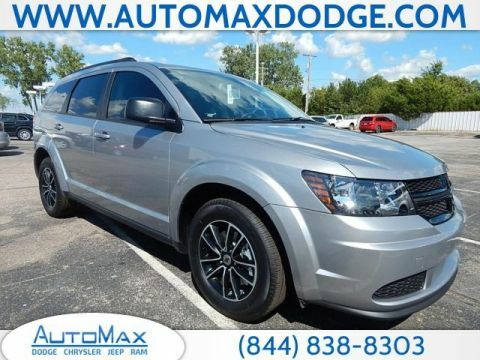 2018 Dodge Journey SE FWD 2.4L I4 DOHC 16V Dual VVT No Gimmicks, No Games, No Hassles at AutoMax Dodge Chrysler Jeep Ram where we are a pet friendly dealership! With the Max Value Commitment, our goal is to provide you with an excellent customer experience every time you contact us. Contact Internet Sales today for VIP Appointments, pricing and vehicle availability. Additional rebates may apply. Please contact us for the most up to date rebates and discounts. **MP3**, **IPOD ADAPTER**, **BLUETOOTH, HANDS-FREE**, **USB**, **KEYLESS ENTRY**, **REAR BACKUP CAMERA**, **ACCIDENT FREE CARFAX**, **SIRIUS/XM SATELLITE RADIO**. Priced below KBB Fair Purchase Price! Odometer is 4062 miles below market average! CARFAX One-Owner. Clean CARFAX. 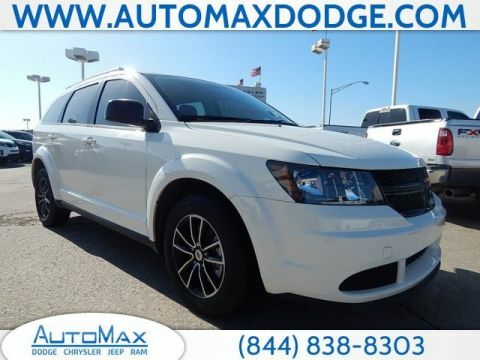 2018 Dodge Journey SE FWD 2.4L I4 DOHC 16V Dual VVT No Gimmicks, No Games, No Hassles at AutoMax Dodge Chrysler Jeep Ram where we are a pet friendly dealership! With the Max Value Commitment, our goal is to provide you with an excellent customer experience every time you contact us. Contact Internet Sales today for VIP Appointments, pricing and vehicle availability. Additional rebates may apply. Please contact us for the most up to date rebates and discounts. 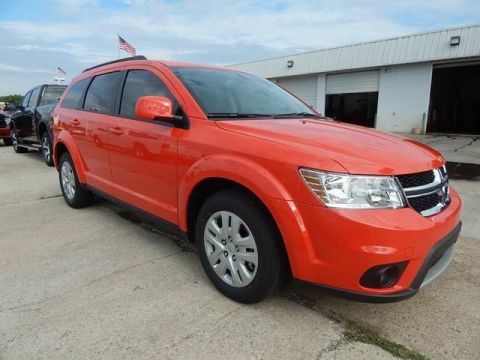 **IPOD ADAPTER**, **BLUETOOTH, HANDS-FREE**, **USB**, **KEYLESS ENTRY**, **REAR BACKUP CAMERA**, **REAR BACKUP SENSORS**, **ACCIDENT FREE CARFAX**, **AWD/4X4/ALL WHEEL DRIVE/4WD**, **CARFAX ONE OWNER**, **HEATED MIRRORS**, **SIRIUS/XM SATELLITE RADIO**. Priced below KBB Fair Purchase Price! Odometer is 4293 miles below market average! Clean CARFAX. 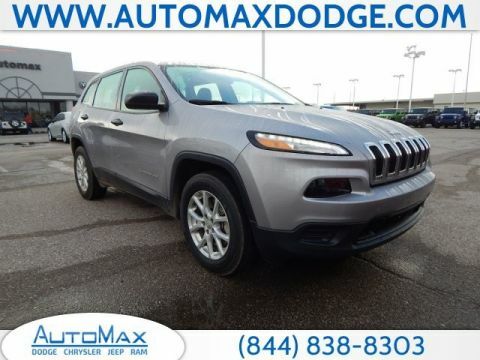 2017 Jeep Cherokee Sport 4WD 3.2L V6 No Gimmicks, No Games, No Hassles at AutoMax Dodge Chrysler Jeep Ram where we are a pet friendly dealership! With the Max Value Commitment, our goal is to provide you with an excellent customer experience every time you contact us. Contact Internet Sales today for VIP Appointments, pricing and vehicle availability. Additional rebates may apply. Please contact us for the most up to date rebates and discounts. Odometer is 16537 miles below market average! 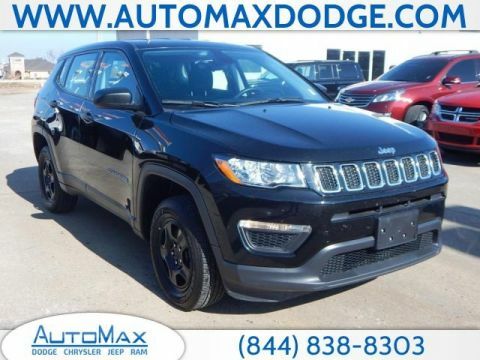 2016 Jeep Cherokee Latitude 4WD 2.4L 4-Cylinder SMPI SOHC No Gimmicks, No Games, No Hassles at AutoMax Dodge Chrysler Jeep Ram where we are a pet friendly dealership! With the Max Value Commitment, our goal is to provide you with an excellent customer experience every time you contact us. Contact Internet Sales today for VIP Appointments, pricing and vehicle availability. Additional rebates may apply. Please contact us for the most up to date rebates and discounts. Priced below KBB Fair Purchase Price! Odometer is 951 miles below market average! Clean CARFAX. 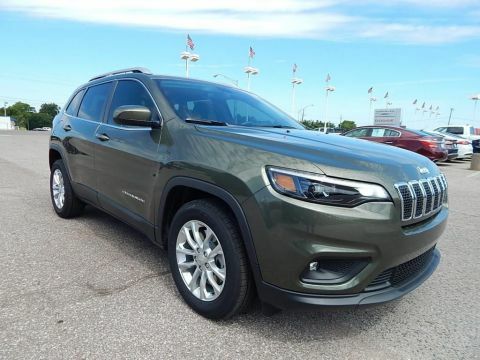 2019 Jeep Cherokee Latitude FWD 2.4L I4 No Gimmicks, No Games, No Hassles at AutoMax Dodge Chrysler Jeep Ram where we are a pet friendly dealership! With the Max Value Commitment, our goal is to provide you with an excellent customer experience every time you contact us. Contact Internet Sales today for VIP Appointments, pricing and vehicle availability. Additional rebates may apply. Please contact us for the most up to date rebates and discounts. **MP3**, **IPOD ADAPTER**, **BLUETOOTH, HANDS-FREE**, **USB**, **KEYLESS ENTRY**, **ACCIDENT FREE CARFAX**, **SIRIUS/XM SATELLITE RADIO**. Odometer is 802 miles below market average! Clean CARFAX. 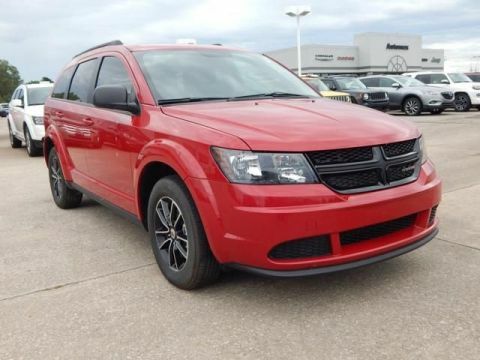 2018 Dodge Journey SXT FWD 3.6L V6 24V VVT No Gimmicks, No Games, No Hassles at AutoMax Dodge Chrysler Jeep Ram where we are a pet friendly dealership! With the Max Value Commitment, our goal is to provide you with an excellent customer experience every time you contact us. Contact Internet Sales today for VIP Appointments, pricing and vehicle availability. Additional rebates may apply. Please contact us for the most up to date rebates and discounts. Recent Arrival! Clean CARFAX. 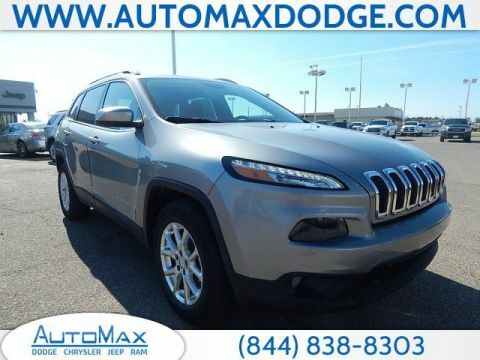 2019 Jeep Cherokee Latitude Plus FWD 3.2L V6 No Gimmicks, No Games, No Hassles at AutoMax Dodge Chrysler Jeep Ram where we are a pet friendly dealership! With the Max Value Commitment, our goal is to provide you with an excellent customer experience every time you contact us. Contact Internet Sales today for VIP Appointments, pricing and vehicle availability. Additional rebates may apply. Please contact us for the most up to date rebates and discounts. Cheap Used SUVs for Sale: Why Buy a Low-Mileage Crossover? SUVs tend to be a little more expensive than sedans and hatchbacks, but you can cut down on everything from monthly payments to down payments to insurance fees when you buy used. A low-mileage model should only be a few years old, so you won’t be too far behind the latest features and engineering — it provides the best of both worlds. You’ll find plenty of private sellers across Midwest City, Del City, and beyond, but you can make the buying process easier by visiting AutoMax DCJR in Shawnee, OK. Contact us today or feel free to apply for financing online.